Narrative structure is an ubiquitous and intriguing phenomenon. It is found in stories across cultures, domains, and tasks, helping us understand the higher-level meaning of texts and effectively use stories for our purposes. Understanding and modeling narrative structure is an anvil for forging new artificial intelligence and machine learning techniques, and is a window into abstraction and conceptual learning as well as into culture and its influence on cognition. I describe my research program for computationally modeling and extracting narrative structure from natural language texts. I first describe new techniques for representing the "who does what to whom" of a narrative, a necessary step if we are to computationally model the cognitive processes involved. Second, I describe recent experiments demonstrating that we are able to have annotators reliably capture explicit narrative structures from text, the first time any one has demonstrated such a result. Finally, I describe my technique for learning narrative structure from text: I describe Analogical Story Merging (ASM), a machine learning algorithm that can extract culturally-relevant plot patterns from sets of folktales. I demonstrate that ASM can learn a substantive portion of Vladimir Propp's influential theory of the structure of story plots. Bio: Dr. Mark Finlayson is a Research Scientist at the Computer Science and Artificial Intelligence Laboratory at MIT. 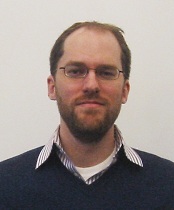 His research focuses on representing, extracting, and using higher-order semantic patterns in natural language. He received the B.S.E from the University of Michigan in 1998, and the M.S. and Ph.D. from MIT in 2001 and 2012, respectively, all in Electrical Engineering and Computer Science. He is also general chair of the Computational Models of Workshop series, now in its fifth year.